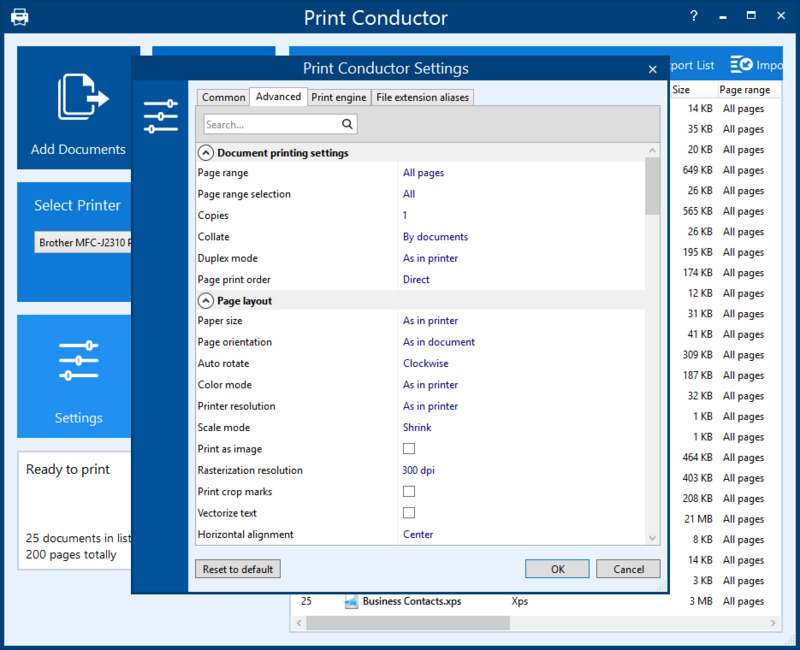 Print Conductor is batch printing software. Automate printing of PDF files, plain texts, Microsoft Office and OpenOffice documents and presentations, RTF, HTML, MHT, XML files, AutoCAD, Solidworks and Inventor drawings, Visio charts, Photoshop PSD, JPG, TIFF, PNG, PCX, DCX, BMP and JBIG images, WMF and EMF metafiles. If you regularly have to open and print a large number of documents, drawings or images, this tool can be a real timesaver!